Another January, another Fieldwork Month. 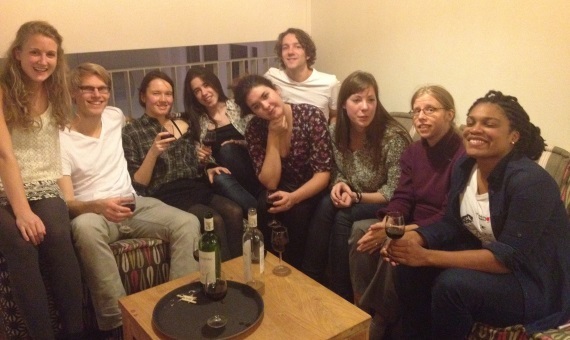 But whereas last year I was supervising undergraduates doing their first fieldwork projects, this year I spent early January with Master’s students getting ready to carry out the research for their MA theses. 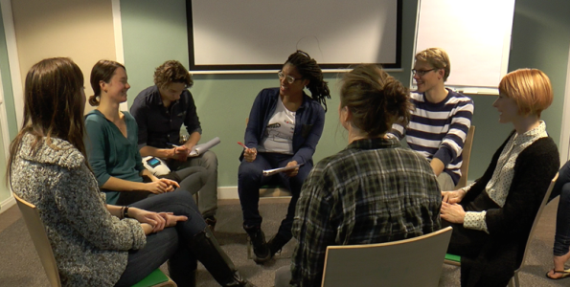 As the final part of their research preparation, the MA students who are doing their fieldwork in the Netherlands attend an intensive training program focused on research methods: Field School NL. I was fortunate to teach this year’s (first) edition of the Field School NL, and in the process I got to learn about some wonderful projects that our students are presently carrying out. I also realized anew that many of the methods we use during fieldwork—be they interviews or transect walks, pile sorting or filming—we learn by doing. This year’s Field School NL took place in Soest, a small town right in the middle of the Netherlands. Of course, for most students doing their research in the Netherlands, their proposed research population was not the population of Soest, so they needed to be a bit creative about rewriting their main questions to be applicable to people in Soest. 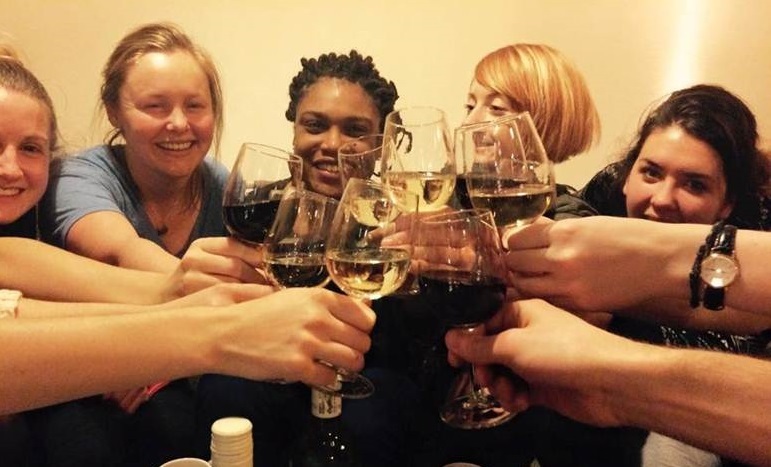 The student whose MA research deals with body image among female Caribbean migrants reframed the research to focus just on women and body image in order to be able to practice her interviews and other research methods with people in Soest. Another, who does research with municipal officials dealing with sustainability policy, decided to focus temporarily on what citizens expect from their municipal officials when it comes to sustainability. Reframing the main research question in such a way as to be applicable in a different context is in itself an interesting methodological exercise, as it brings out the specificity of the actual research population, as well as the links between research population, methods used, and data collected. At the same time, some students found that Soest—maybe unexpectedly—did include people who fitted the criteria for inclusion in the research. Who would have thought, for example, that Soest boasts an organic dairy farm? Others found that their questions were hard for people to answer, because of the difficult wording or because they were too abstract—something that would not just be a problem in Soest, but anywhere. 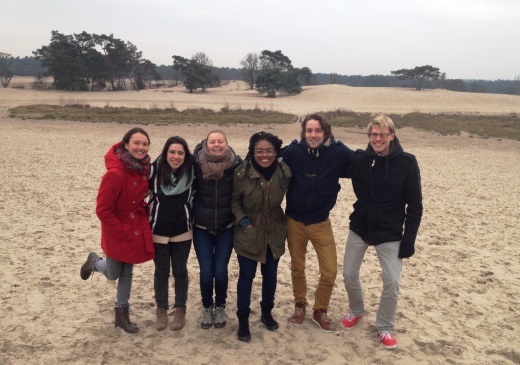 Students practised their fieldwork methods not just with people in Soest, but on each other as well. To help the student who was planning to use food diaries as a research method, we all kept a record of everything we ate and drank during the week of the Field school. Or at least, that was our assignment. 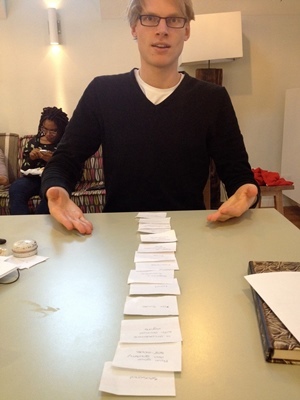 As it turns out, it is hard to remember to make a note every time you eat or drink something. If you try to remember at night or the next day, it might be difficult to recollect everything. Some of us lost our food diary sheet within a few days. And how specific were we supposed to be in writing down “all you ate and drank”? Do you specify how many potatoes? Can you just say coffee, or do you need to add whether you had sugar in it (and if so, how many cubes?) Lesson learned: food diaries (or any other record-keeping by the research participants on behalf of the researcher) may sound like a great method, but it is hard for people to keep up with recording, and it gets even harder if the instructions are not extremely clear. Most nights after dinner, one student would get a chance to practice his or her interview with a fellow student, and a third student (who specialized in Visual Ethnography) would film the interaction. Filming the interviews had a double benefit: it was good camera practice for the Visual Ethnography students,and it is very useful to analyze footage of oneself doing an interview to see what goes well and what can be improved. An extra benefit of our daily interview sessions with each other was that we got to know each other much better, through interview topics ranging from buying organic groceries to how you experience God in your daily life. Knowing you have friends and colleagues you can fall back on when you are having a hard time during your fieldwork is tremendously valuable. Other students echo that it is challenging to engage respondents in their research and mention long hours spent on e-mail and Twitter to entice people to participate in their projects. They have come to realize that you are dependent on what other people are willing to share with you, people they do not know, at least at first. I hope—and expect—that the Field School NL has given the students enough practice so that they know how to handle “the real thing”, and the confidence to know that they can succeed in being their own research instrument. Hi Anna, thanks for the suggestion—I’ll be sure to pass it along! I don’t know who is doing research on municipal officials in Leiden but I do know that the a group of Journalism and New Media made a small documentary on what happens after the municipality elections. I think it might be useful to watch this!